5. Roll the dough to ⅛” thickness, as even and smooth as the deadliest katana. Your hands move like a whisper, cutting the dark shapes into the dough. 6. 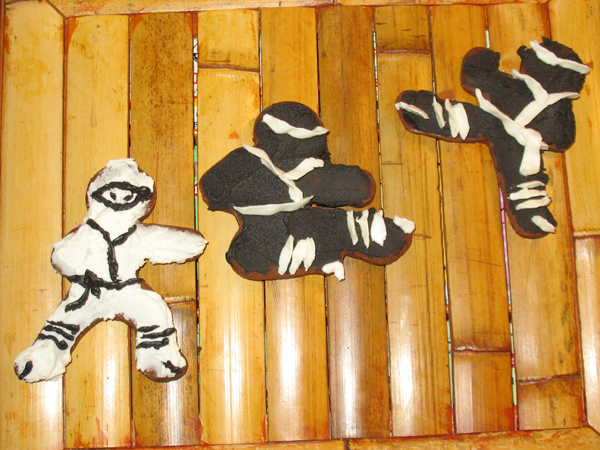 Release the ninjas. Transfer them to a baking sheet that has been greased with lightning, or lined with parchment paper. 7. Bake 6-7 min. Cool on rack. 8. Frost with traditional ninja accessories.